1. Time of Day. Brides-to-be often wish to use the day of their engagement photo session for a trial run of the hair and make-up for their wedding day. However, there are only two times of day that are ideal for photography -- sunrise up to 1-1/2 hours after sunrise, and 1-1/2 hours before sunset, up to sunset. These times are called "the golden hour" by photographers. 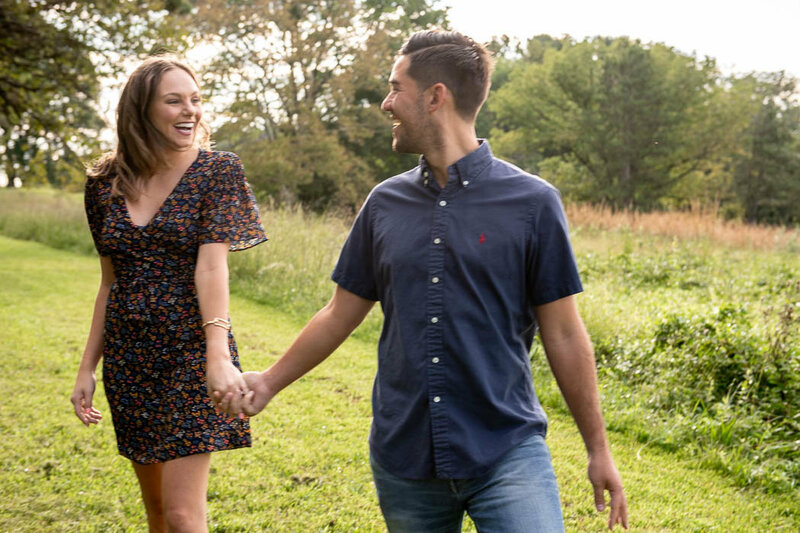 If you visit Pinterest or google images and search for "engagement photos," all the most popular images are photographed at these two times of day, guaranteed. Unfortunately for all those morning hair and make-up trials, the least flattering times to photograph a portrait. Here's a blog post from dating site OKCupid with an analysis of over 11 million opinions of over half-million photos on a dating site, for scientific proof of what professional photographers know about "the golden hour". Time's short - book that appointment in advance to get the best time of day! 2. Choose the location for access to sunlight, more than for background. 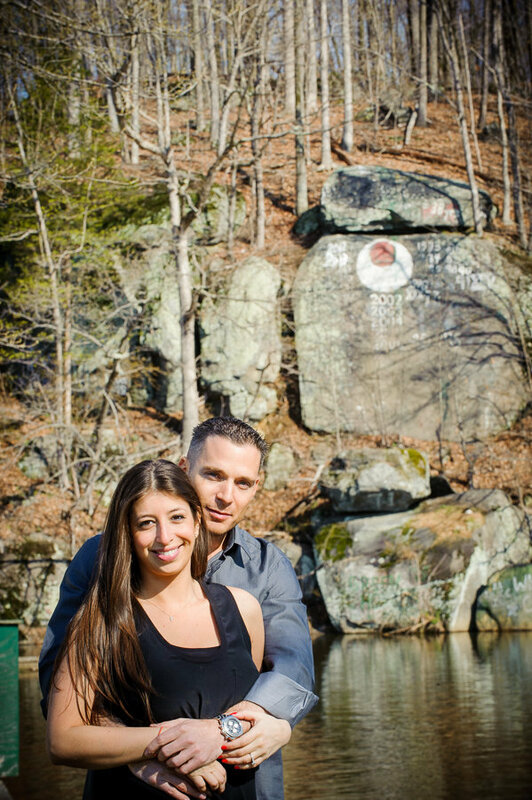 Take a look through engagement photos you like on Pinterest or google images. It's the light (see above) that gives a photo drama and character. Find a spot for your photos where the sun isn't blotted out by tall buildings or trees. 3. Feel comfortable with your look. The best photos occur when the bride-to-be isn't worried about how she looks. We all have features about ourselves that we would prefer were different. 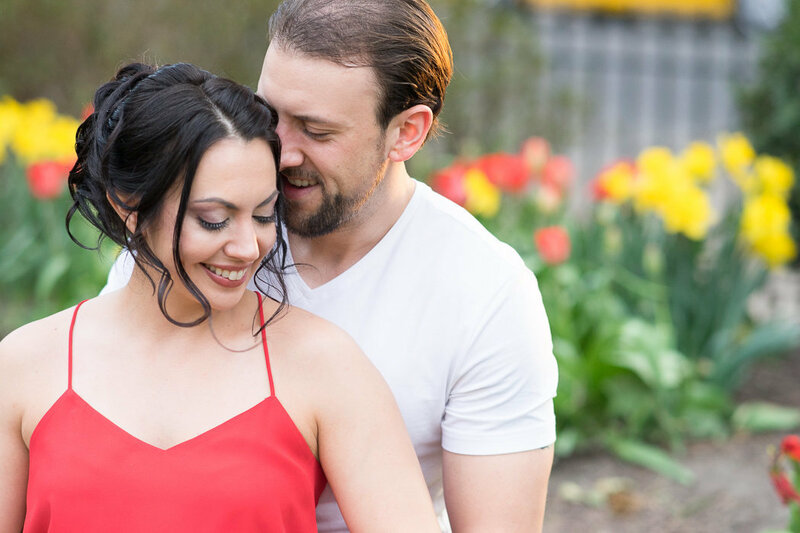 The best photos occur when the subjects relax about what they don't like about themselves, and allow the true love and carefree attitude they might feel with their fiancé on a weekend hang-out come through on camera. 4. Dress in clothes that compliment each other. 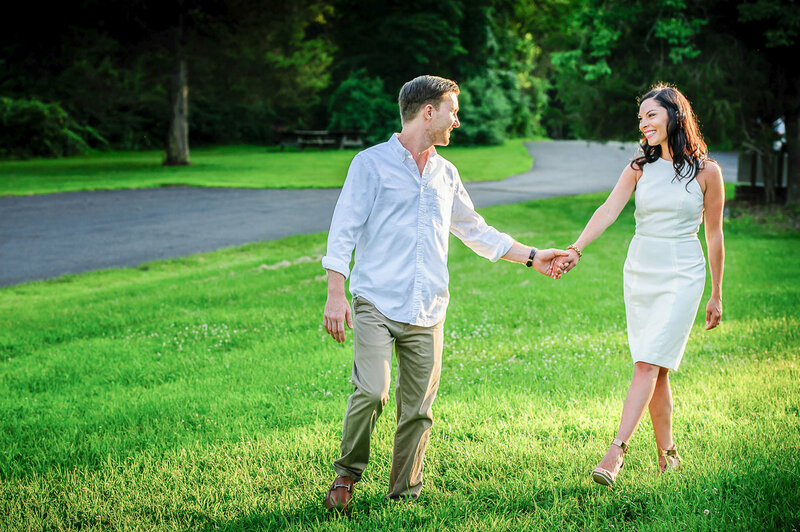 The best-looking engagement shoots happen when the couple looks unified by wearing the same color, at least on top. 5. Only ask the photographer what to do as a guideline, then be yourselves. The photographer is happy to provide you with suggestions of what to do to get the best candid look, but when the bride-and-groom-to-be are stiff and asking for direction from the photographer after every pose, it kills the candid vibe you hired us for. 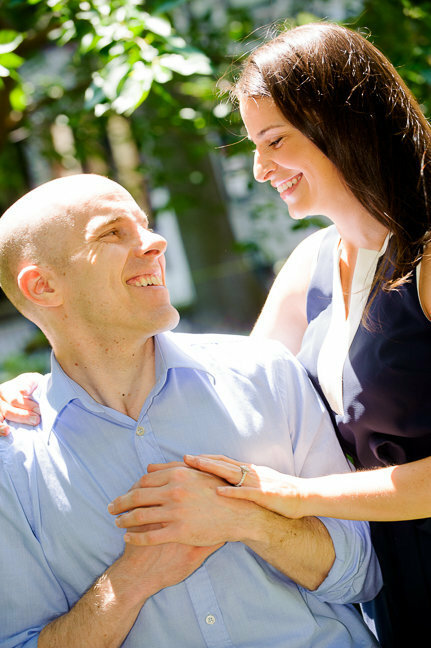 Engagement photographs are a team effort. Here's my "go-to" guide to posing. It's a good idea to practice these in a mirror before the shoot so that you feel more comfortable doing these things that can be awkward to do, but look "candid" on camera. 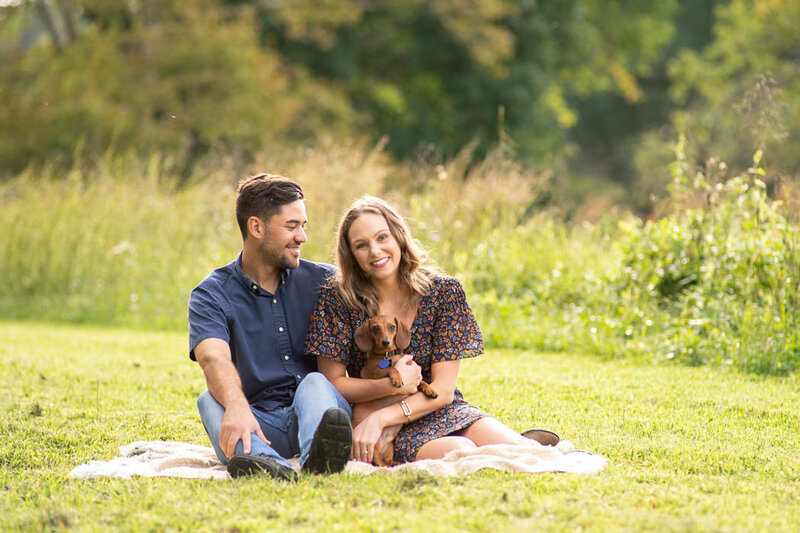 Following these simple tips, you'll have engagement photo images that you two will cherish forever!